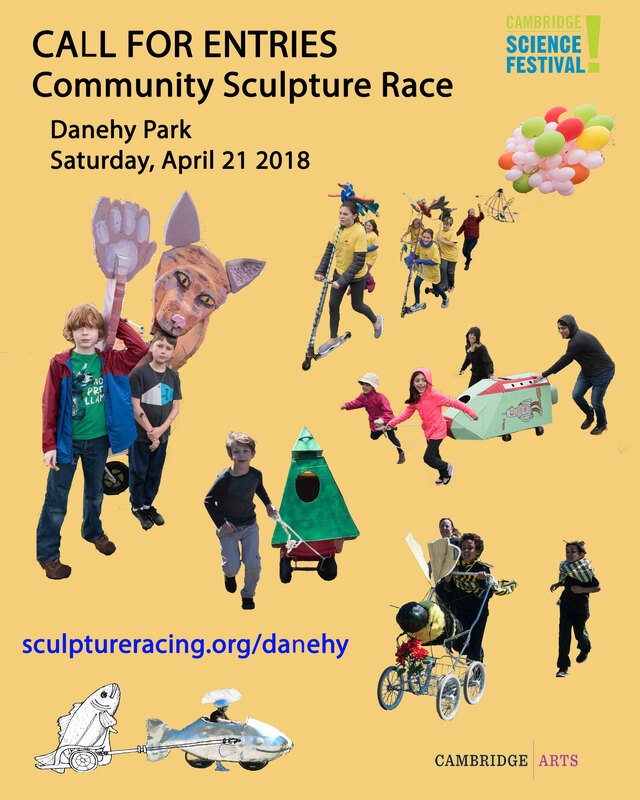 Rockdreams Productions 2018 video combining footage of The People’s Sculpture Race and the Community Race, at the Cambridge Arts River Festival and the Cambridge Science Festival (in Danehy Park) respectively. Rockdreams Productions’ fabulous video of the MIT Exhibition and Race, interviews with artists and organizers…. Rock Louis pulls back the curtain on PSR’s vision and process. Watch PSR-Team Member Rock Louis’s video about the building of “Flock,” a racing sculpture by members of Artist Operation–T.T. and Dennis Svoronos and Rory Beerits (all People’s Sculpture Racing team members.) The completed version (the video includes images of a PVC prototype) will race on June 6. The video is shot at AO’s studio at The Distillery artist community in South Boston. This is a short documentary about the collaborative project between PSR team member William Turville and Musketaquid Arts & Environment program at The Umbrella in Concord. At 23′, Big Fish is the largest sculpture that will race at PSR’s inaugural race on June 6. A LOT of our logistics are based around its dimensions! More videos to come of People’s Sculpture Racing and its events–another by Rock Louis and a short one one by Christy are in post-production. In the meantime, please enjoy these videos of our inspiration–the World Sculpture Racing Society from 1987…. Two videos from World Sculpture Racing Society’s trip to Milwaukee in 1987, courtesy of Geoffrey Koetsch. We recommend the first one, which runs just under 6 minutes. The second one runs about 1-1/2 minutes.